(PRLEAP.COM) Fusion stone has taken the time to come up with a review on the design trends on going in Edmonton in 2019. Amazing music, hockey and nature photos aren't the only wonderful things to come out of Edmonton, says Fusion stone. The northernmost North American city with over one million people is also a large melting pot of style and design trends. Diverse colors, patterns and furnishings take the main stage for design trends in 2019. Patterns take the stage – Large scale use of patterns as a focal point is on the rise. 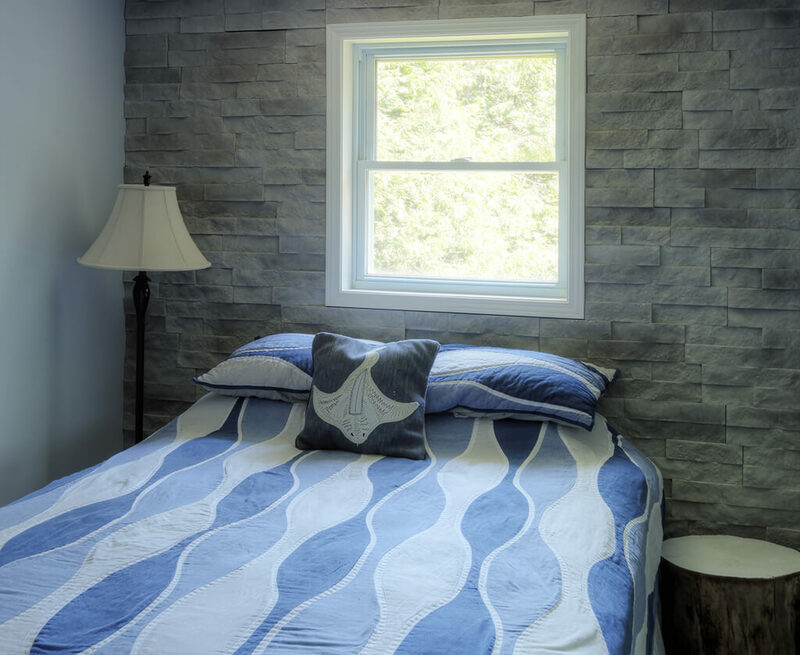 Fabric, tile and stone veneer are just a few of the ways that you can incorporate various textures and patterns into a space. Also, don't be afraid to mesh a few of them together to create your own distinctive look –an advice from Fusion Stone. Project Idea – If you're looking to infuse some patterns into a space, Fusion stone says you should consider using any one of their products to add contours to a room. An accent wall is an excellent way to add a diverse and stunning appearance to any bedroom, bathroom or kitchen. Warm or neutral colors – Consider choosing colors for your room that have warm, earthy, or neutral tones. Tan, warm browns or red-brown can be infused with accent shades of green, yellows or reds. A neutral jumping off point can be grey, particularly dark, with some blues and cream colors splashed in. Project idea – All of Fusion Stone products come in colors to match any warm or neutral room design. Whether it's the rusty charm and charcoal multi-hues of our Brindle color, the more subdued Raven or the dusky Fawn, they have the colors to help keep your space looking modern. Consider adding a border in your living room to offset other corresponding tones. Rustic and modern – The intermingling of rustic and modern furnishings is big for 2019, especially in the kitchen. A great example of this would be mixing unlacquered brass or silver faucets with a stainless-steel sink. Project idea – Use one of Fusion products on your Kitchen Island or walls. The rustic beauty of stone will melt together with any modern styling that you have. Minimalistic – Modern trends revolve around a stripped down, sleek and comfortable space. Large appliances or art pieces are out. Simple and functional items are in. Project idea – If you decide to go down the minimalistic road, think about using products from Fusion stone around your space. Consider framing Fusion Stone around your doorways or windowsills to add visual depth and complexity, while not taking up any space. Vintage is in, again – This seems to be a reoccurring trend over the past few years, but buying vintage or previously enjoyed furnishings is still extremely relevant. In this world of overabundance, people are looking to reduce the stress they put on the earth. Thrift stores are a haven for wonderful and one-of-a-kind items that just can't be found in big box stores. Project idea – The latest product from Fusion stone, Peninsula Ledgestone, offers the traditional and rugged appearance of old stonework. Try adding it around a fireplace mantel to intertwine with your vintage furnishings. Try out any of these design trends in your own space, and let the company help you keep your space looking modern and beautiful. Fusion Stone is sold at over 1,500 building supply locations across Canada. Visit fusionstone.ca to find a dealer near you and discover for yourself what a perfect solution Fusion Stone can be used either for new or renovation projects, both interior and exterior.